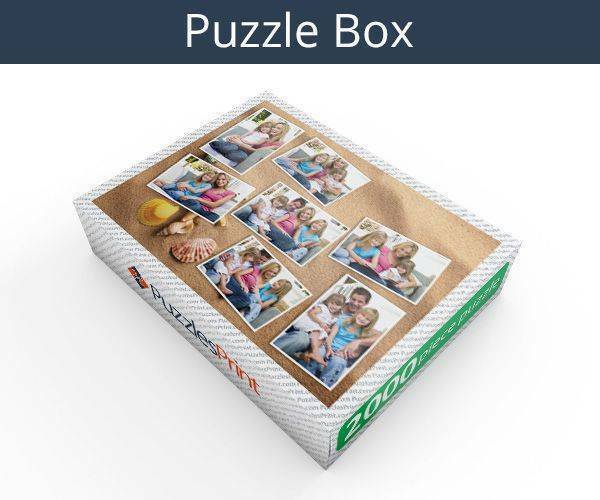 Click “create your jigsaw puzzle” to start personalising this product, you will be able to select the photo collage layout, upload your photos, add text, choose quantity and add it to your shopping cart. 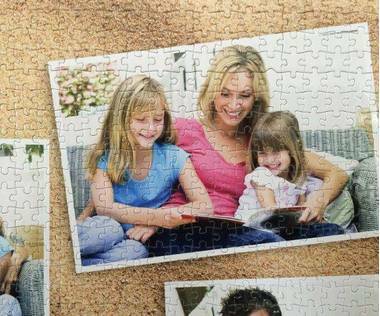 2000 piece photo collage jigsaw puzzle is made with photos of your choice! 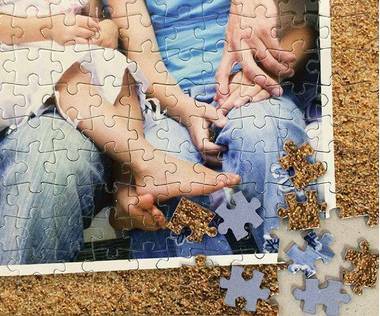 Create the largest possible photo collage jigsaw puzzle with 2000 puzzle pieces. Photo collage jigsaw puzzles are the perfect photo gift for occasions such as Birthdays, Family reunion, Wedding anniversary! 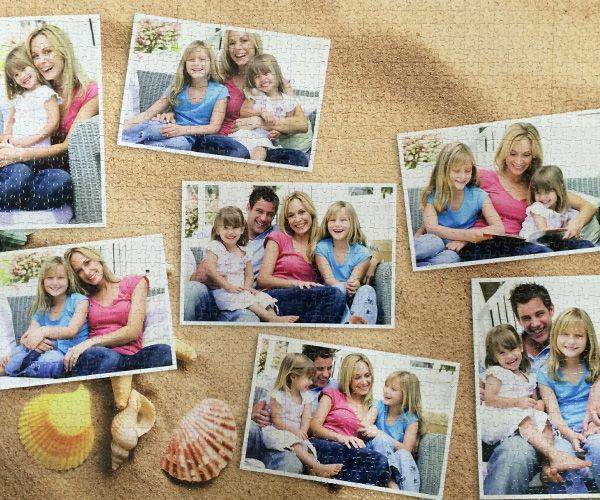 Choose a photo collage background that you like the most and upload photos of your choice to create a 2000 piece photo collage jigsaw puzzle! Once you have decided that you want to do make special gift with your favourite photographs then looking at a jigsaw containing them will be the place to start. There are a variety of sizes available and also a choice of background. If the idea of making up the puzzle is as exciting as the pictures, then a 2000 piece photo collage jigsaw puzzle is the one to go for. Not only can you choose the piece amount and background, but also the layout of the pictures that you want including. It is easy to start off as you upload the pictures and then select the background before deciding how you want the pictures to appear. Once that has been done all you have left is to choose a message and then it is ready to order. It could not be easier, but if you do find there are problems, you will be able to get help to get the image you want. Once you have agreed on the layout you can be sure that it will be produced exactly like that. There is no need for the layout to be changed so that will not happen. It is going to be a great gift for someone and will give a great deal of pleasure when being used over time. It will bring back many happy memories and is a unique way to display much-loved pictures. 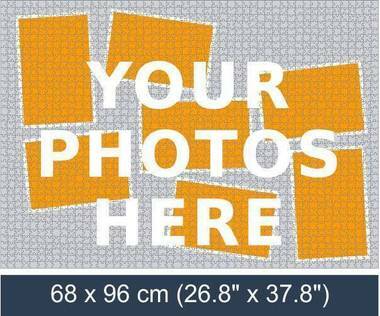 With 2000 piece photo collage jigsaw, there will be pieces measuring 0.69” x 0.75” and once completed it will measure 26.8'' x 37.8”. The pieces are made of cardboard and are cut in such a way that they will slip into place with ease. It should not take much more than a week for the jigsaw to arrive although at Christmas it will be sensible to give a little longer to allow for the fact that there is likely to be a lot more orders placed than normal. This 2000 piece collage photo jigsaw puzzle will be an ideal for a variety of occasions including Christmas, birthdays and anniversaries. 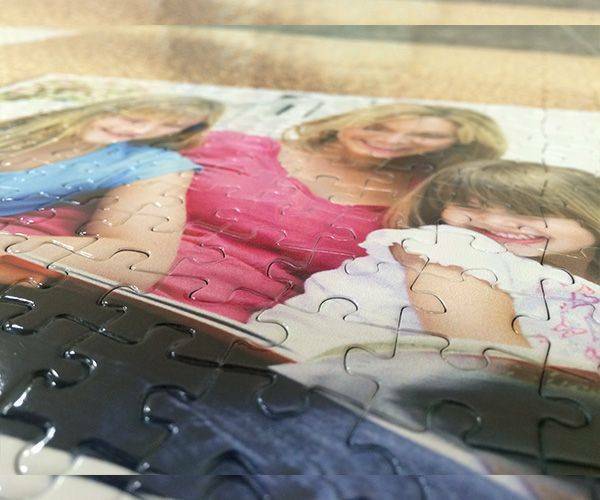 The jigsaw will arrive in a cardboard box with a photograph of the collage on the front. If more than one is ordered, there will be a discount applied.